Maniac on Netflix is really good. And weird. PlayStation Vue just got a lot more local channels. How about that — there’s a new TiVo roaming around. Take a projector with you when camping? Sure, why not. Don’t miss what’s on Netflix in October. And what’s new on Amazon Prime Video. Roku’s wireless speakers for its Roku TVs are now expected in November. Best answer: The DJI FPV Goggles are the best pick if you own a DJI Phantom 4 or Mavic Pro, and plan to upgrade from the DJI in the future. For a bit more, the DJI Goggles Racing Edition offer better features if you’re interested in building a non-DJI racing drone. Sometimes it’s just smarter to buy your accessories straight from the source, and that’s certainly the case for any owners of DJI’s premium drones — the Phantom 4 series, Mavic Pro, and Mavic 2 series. 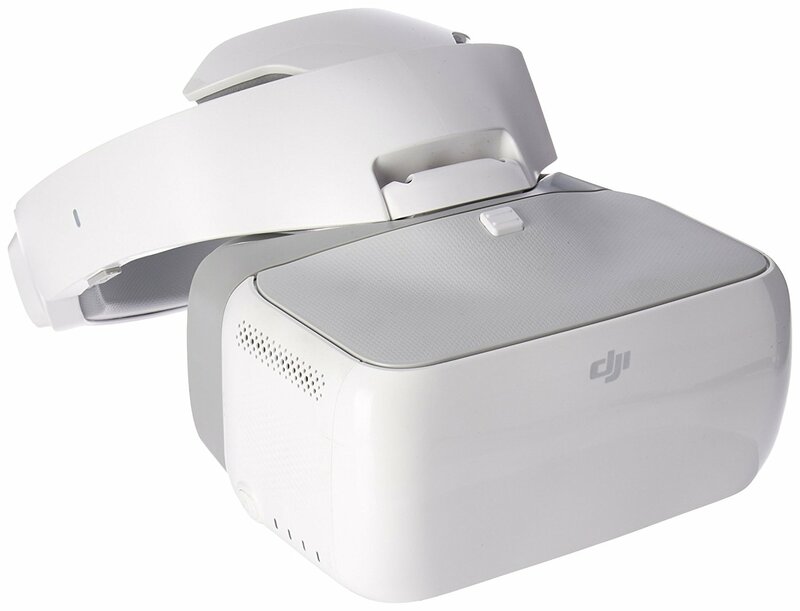 The DJI Goggles pair seamlessly with your drone and controller using the DJI GO 4 app and offers head-tracking support with your drone’s gimbal with built-in touch controls. For the DJI Spark, you’ll need to buy an additional USB OTG Cable ($5) to create a wired connection from your phone to your DJI controller. The DJI headset is capable of offering 720p/60fps and 1080p/30fps viewing options with a low latency of just 110 ms, with the Racing Edition offering a sportier look and enhanced connectivity options. You can expect to get six hours of viewing, either as a pilot or passing off the headset to a friend to enjoy the experience. The downside with the DJI goggles might be the overall size — this is a rather large headset that’s been designed to be as comfortable as possible but it might make marathon sessions a bit heavy on the neck and forehead. 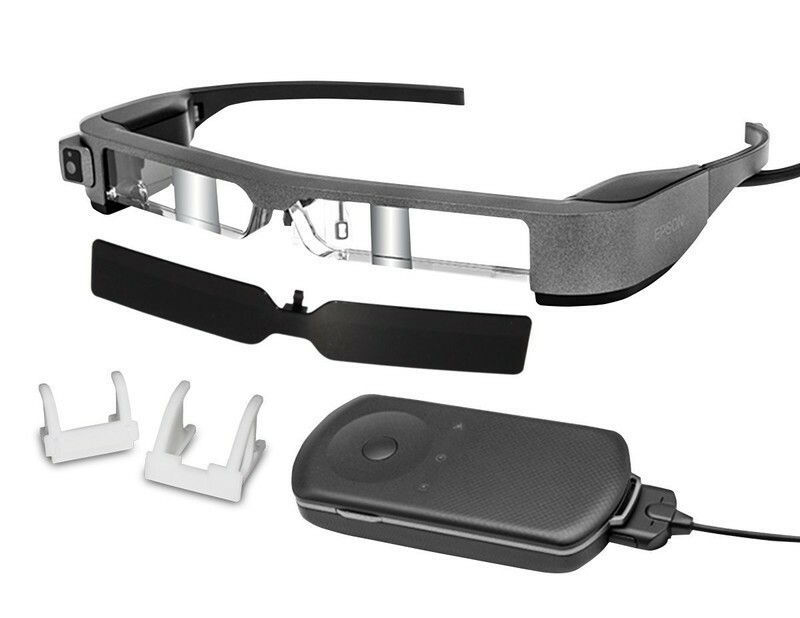 If you’ve understood and accepted that FPV drone flying is an expensive hobby to invest in that includes wireless video transmission and want to rock some of the coolest technology out there, you need to check out the Epson Moverio 300FPV Smart Glasses, which offer support for AR and headset display with full support for DJI Drones using the DJI GO 4 app. 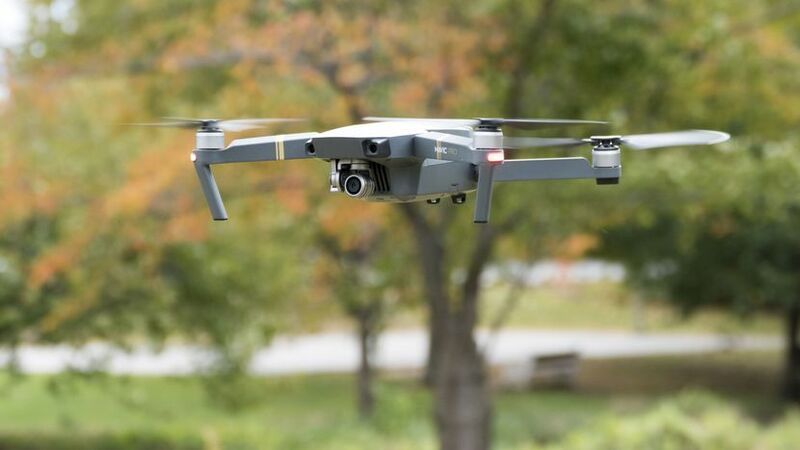 The advantages offered include a much lighter and more comfortable design and the ability to see a heads-up display of your drone’s camera and readings while maintaining a line of sight with your drone. Set up is also easy as the glasses are built on Android so you can download the DJI GO 4 app and directly connect the smart glasses to your drone via WiFi. At $699, these smart glasses are simply too expensive to be our top pick for the average DJI drone pilot, but they’re a cool piece of tech that runs on Android and is controlled by a touch controller. 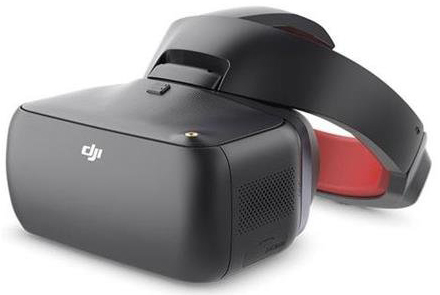 The DJI Goggles require a wired connection to the Spark controller, which means you’ll need the USB OTG adapter for connecting your phone to the headset. If you bought the Spark because it’s the more affordable DJI drone and doesn’t feel like dropping a cool $350 on DJI’s headset, there’s an affordable workaround for any Samsung Galaxy users. It requires setting up the Spark using the latest Samsung Gear VR ($113) which runs on Samsung Galaxy flagships (S8 or later) with a USB-C port. The DJI forums have a great guide that goes over the eight steps you need to do to set things up. At a third of the price of the DJI goggles and with all the extra fun that’s available in the Oculus Store, this Gear VR workaround is a good option for the thrifty drone pilots. There are cooler and cheaper options out there that offer FPV views for DJI drones, but DJI’s own goggles are simply the best bet for DJI pilots who want to experience the first-person view when piloting. For the serious drone racing enthusiast, the Racing Edition headset might be worth the extra money. If you’re interested in drone racing, this is the headset for you! Beyond the stylish black and red look, this headset offers 148° field of view with ultra-low 50 ms latency and the capability of transmitting HD video over four miles. This is the supreme FPV experience for DJI drones! One of the more high-end options for FPV goggles, the Epson Moverio are powered by Android so you’ll be able to load up and connect the DJI GO 4 app right in the goggles and see what your drone camera sees with minimal set up or fuss. For the DJI Spark drone, you’re going to need a create a wired connection from your phone to your DJI controller, but that’s easy with this USB OTG cable, which only costs $5. 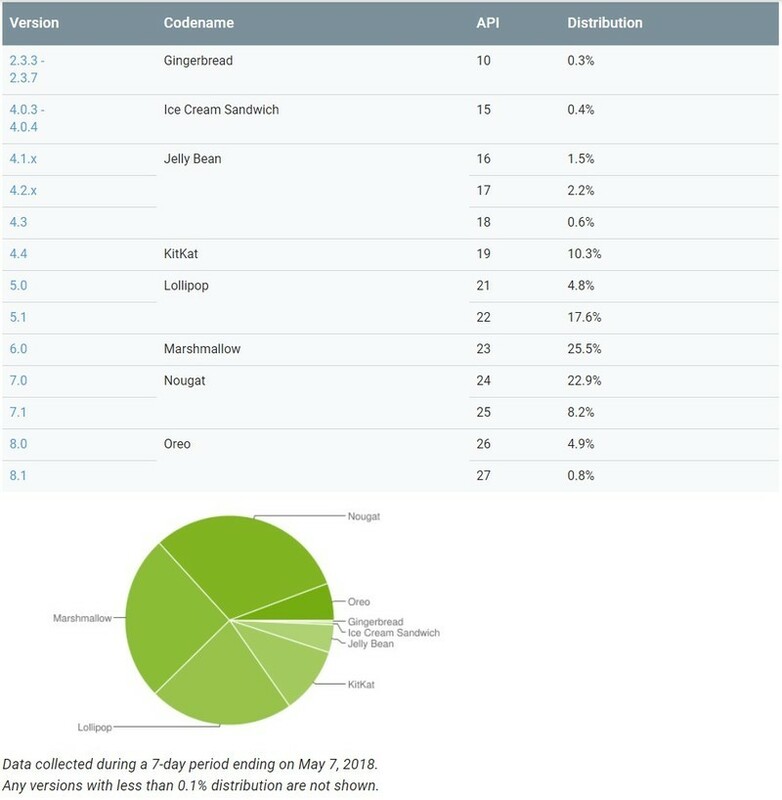 About once a month, Google releases distribution numbers that outline the various Android versions and the percentage of current devices they’re running on. This data is meant for developers so they can create and update their apps according to which Android versions are the most popular, but they also give enthusiasts like us a glimpse into how quickly OEMs are adopting the latest and greatest the platform has to offer. To source this data, Google tracks the Android versions of any devices accessing the Play Store over the course of a 7-day period. This ensures that only active Android gadgets are being accounted for and not your HTC Dream that’s been sitting untouched in a drawer for the past few years. Without further ado, here’s the current state of Android. 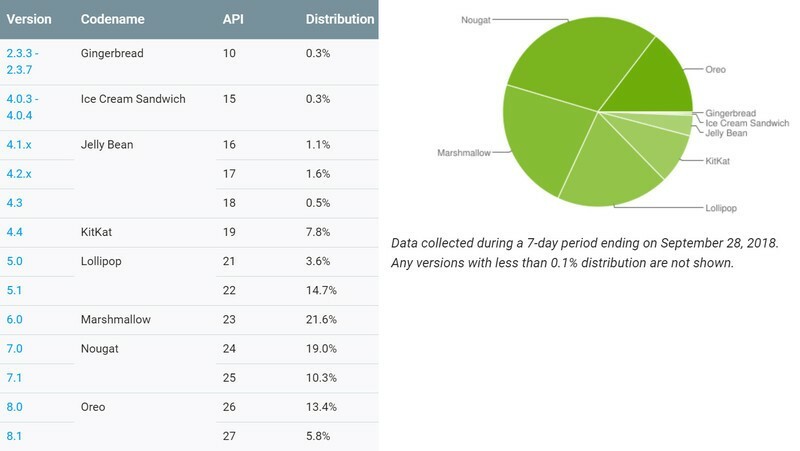 August saw the release of Android Pie, and September saw the new version start pushing out to more and more devices, but alas, Pie is not on a big enough percentage of devices to warrant a slice on the pie chart, pun intended. Last year’s Android version, Oreo is now available on 19.2% of Android devices, but over half of the Android devices that visited the Google Play Store this month were still running Nougat or Marshmallow. 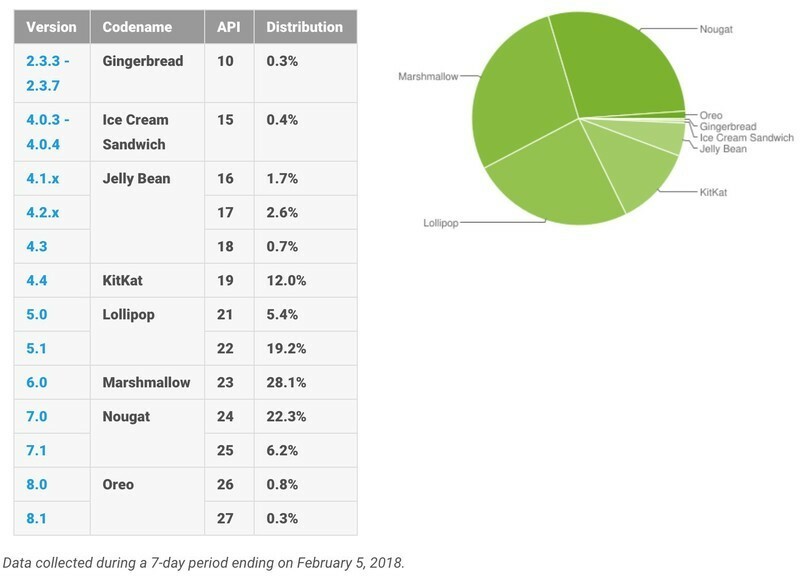 While conventional wisdom says the holiday treat that lasts forever is fruitcake, Gingerbread is still hanging on at 0.3%, alongside Ice Cream Sandwich. Here’s to hoping that Google can replace one or both of them with Pie in their pie chart by Christmas. It’s been a hot minute since we got our last batch of distribution numbers, but after skipping over June, Google’s back with an all-new set of data for July. The biggest highlight for this month shows Android Oreo (8.0 and 8.1) now available on 12.1% of all devices — a huge step up from the 5.7% it saw just a couple months back. That’s still not a great adoption rate, but at least we’re getting somewhere. 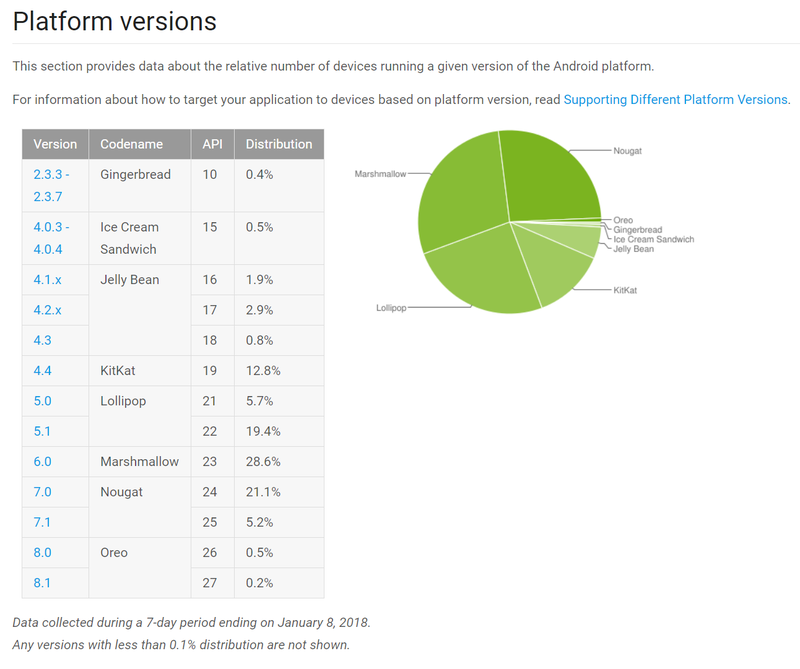 February’s report was the first time Android Oreo crossed the 1% threshold despite that version of the OS being released back in August of last year. 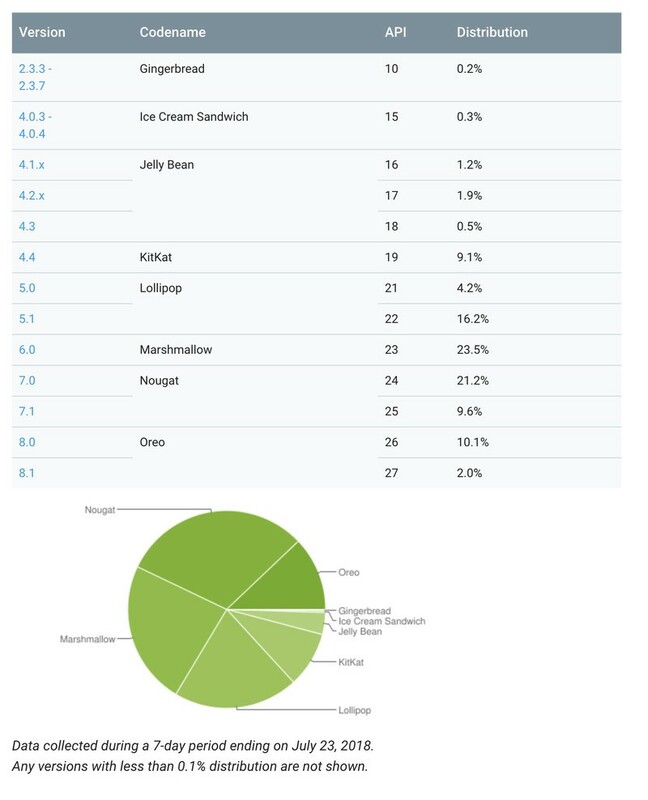 Additionally, Ice Cream Sandwich (4.0.3 to 4.0.4) also finally dropped to 0.4% from last January’s 0.5%. 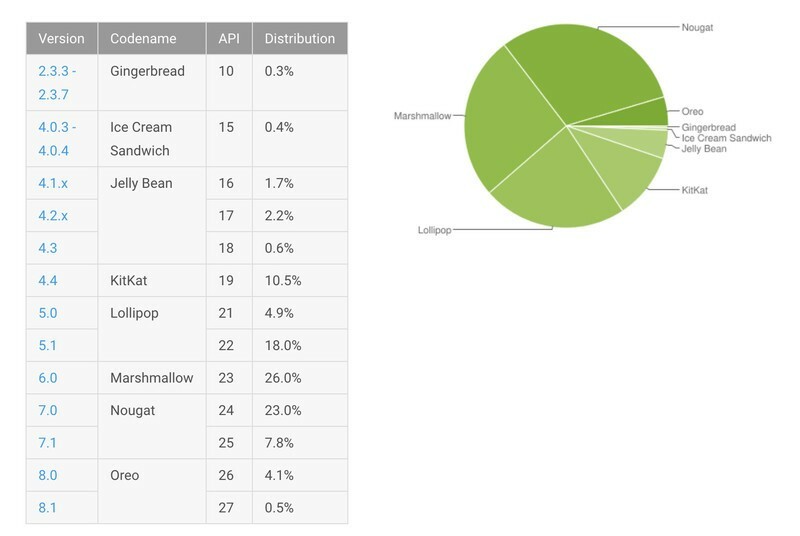 Jellybean and KitKat both decreased compared to last month’s check-in, but Ice Cream Sandwich and Gingerbread are still holding on at the same 0.5% and 0.4%, respectively. What about the phone you’re using? What one is it and what version of Android is it rocking? Sound off in the comments below and let me know! We found plenty of great deals today that include big discounts on the HP EliteDisplay monitor, Evenflo infant essentials, McCafe coffee and more! 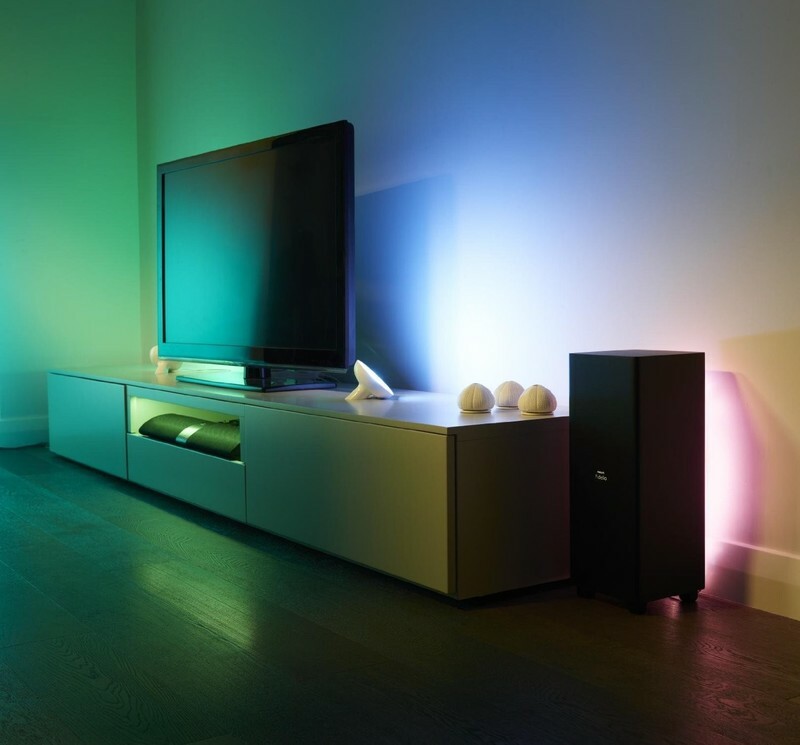 LIFX is one of the biggest brands around when it comes to smart home lighting, offering a wide range of bulbs, strips, and panels to brighten up and color your room. Its selection isn’t perfect, though — the bulbs are pricey, and there aren’t many accessories to control them. If you’re shopping for smart bulbs and don’t want LIFX, there are plenty of other options from brands like Philips Hue and Flux. 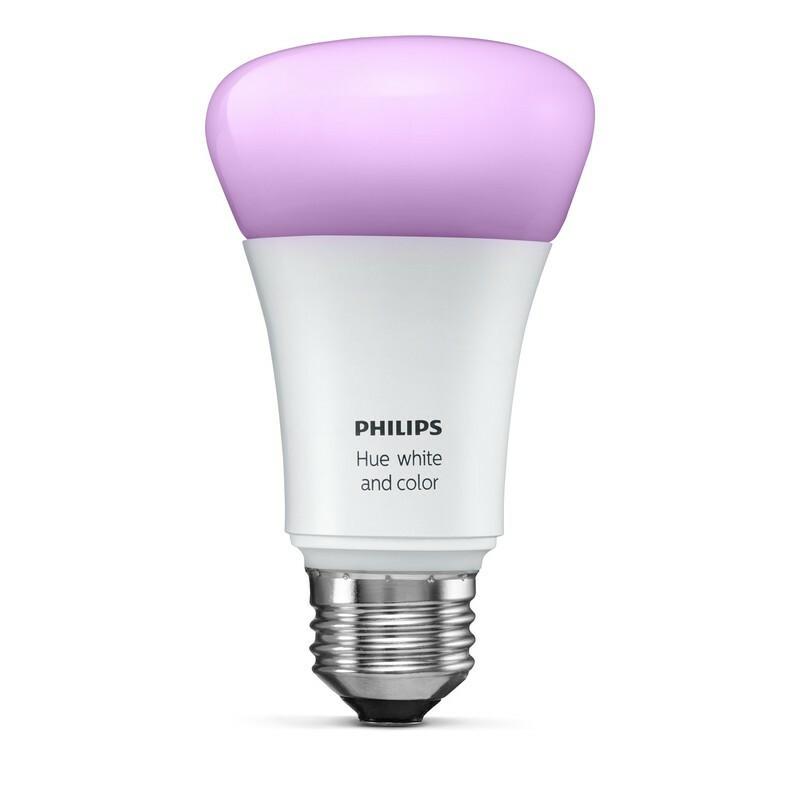 Philips Hue is the most well-known competitor to LIFX, and offers a similarly wide range of smart lights. The most popular bulb is the White and Color Ambience, but you can also buy light strips, lamps, and accessories like remote dimmer switches and motion sensors. Xiaomi doesn’t just make phones; it actually has a massive collection of smart home devices, including its Yeelight smart lights. Like Philips Hue, Yeelights come in a wide variety of form factors, so you can buy what works best for your home — whether that’s a bulb, lamp, night light, or even a candela. 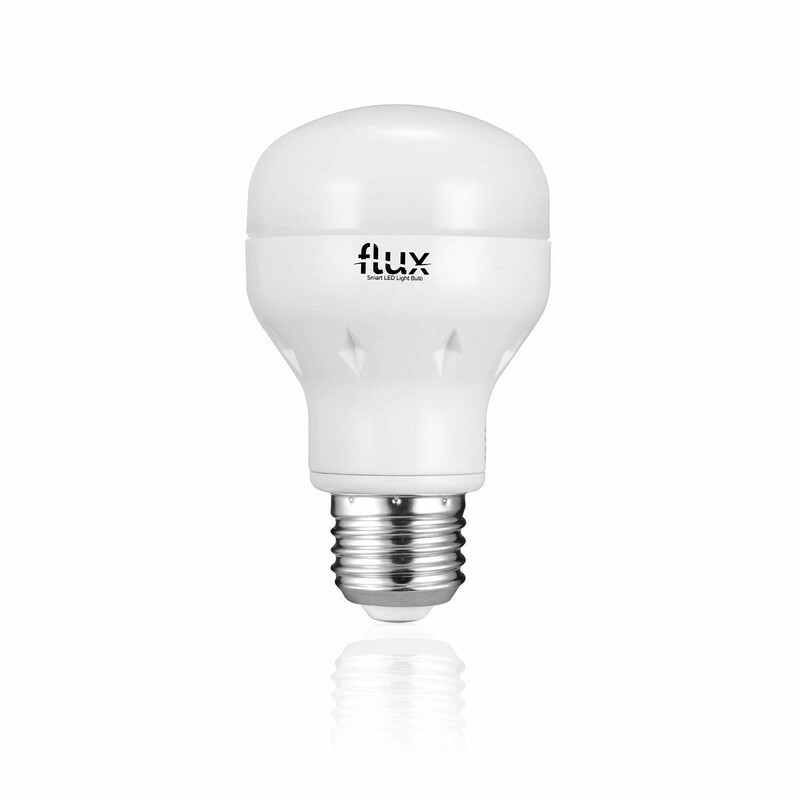 Flux doesn’t have the broad selection that LIFX and Philips Hue offer, but its bulbs are more affordable and can still be controlled through Wi-Fi — though some of its bulbs actually utilize Bluetooth instead, which cuts costs even further but means that you won’t be able to change your lights away from home. 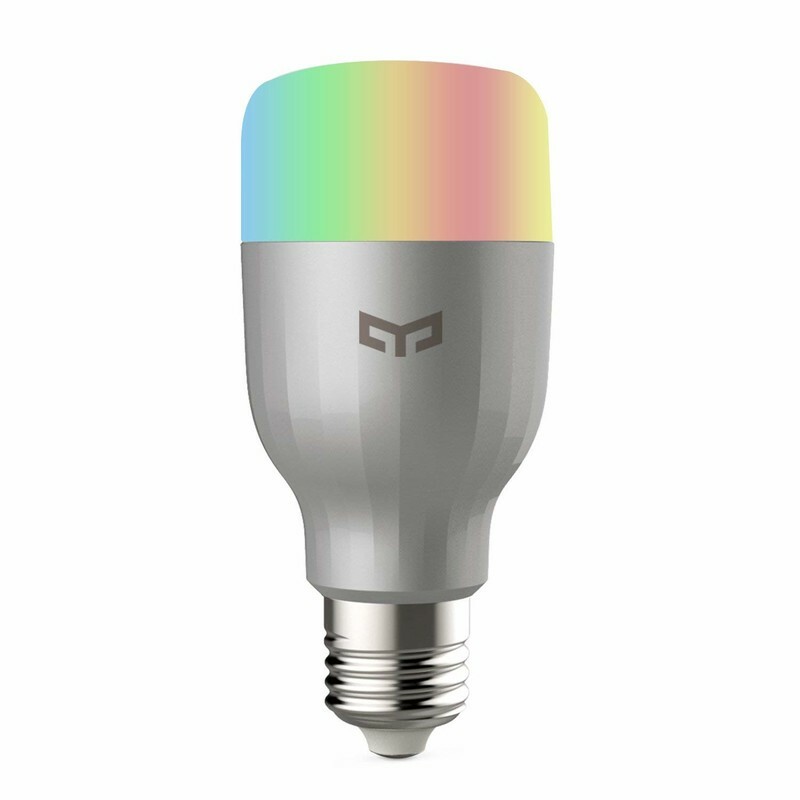 TP-Link is an established smart home brand, and its LB130 bulb is a good option that, like LIFX’s bulbs, doesn’t require a hub to control. 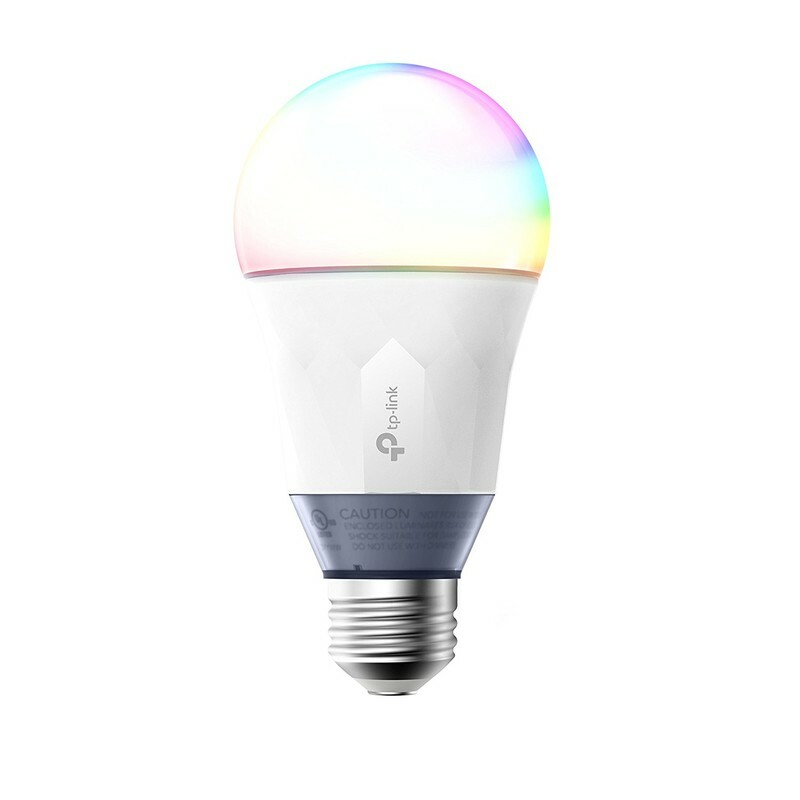 Get this if the LIFX bulbs are too expensive or your local store doesn’t have them in stock. 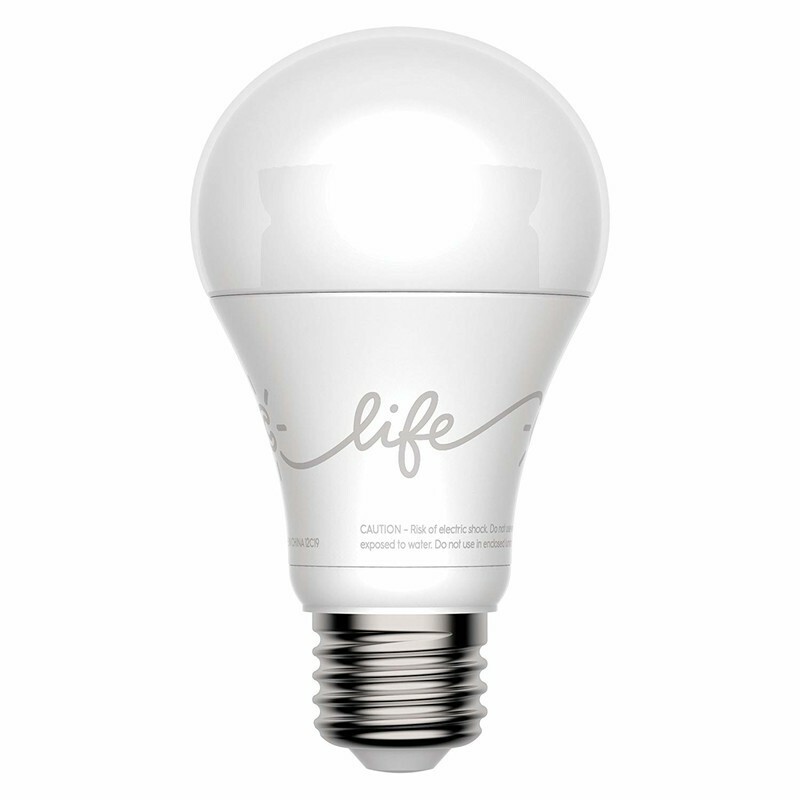 If you don’t care about colors and all you want is a light you can turn on and off from your phone, GE’s C-Life bulb is as simple as it gets. By default, it can only be controlled over Bluetooth, but you can buy a separate hub if you’d rather use Alexa or Google Assistant. Best of all, it’s very inexpensive. 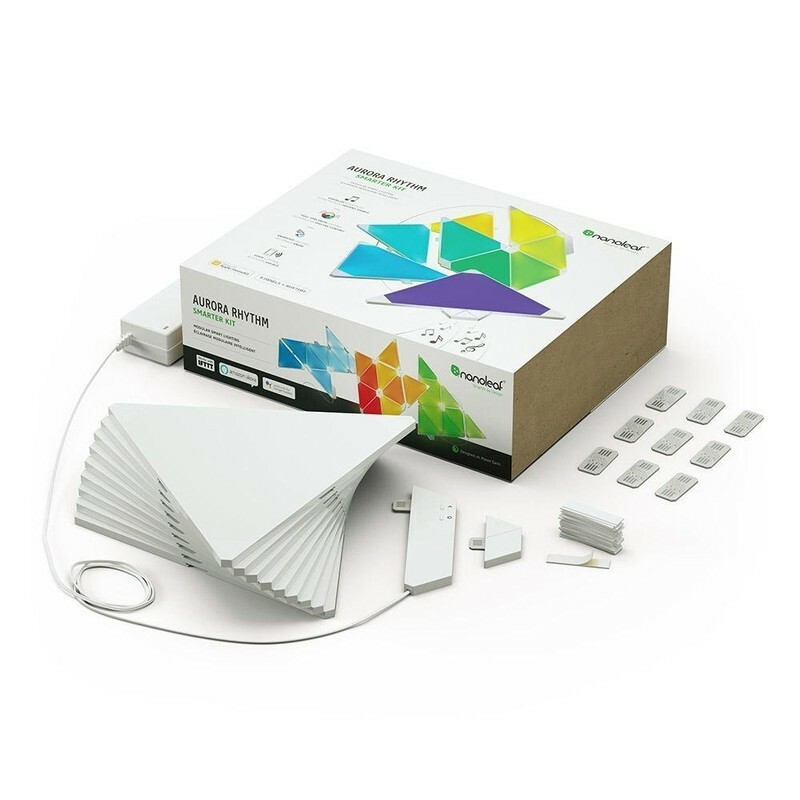 Nanoleaf doesn’t sell light bulbs, but if you’re looking for an alternative to the LIFX Tile, the Aurora Rhythm is a fun and eye-catching product that lets you light up your room and even coordinates colored lights with music. What’s more, you can buy a hardware controller to change the colors of the panels. There are plenty of smart lights to choose from, and the best options will come down to your wants and needs. I’ve been using LIFX bulbs for years, but I just bought my first Philips Hue bulb because the included wall-mountable remote works perfectly in our guest room that doesn’t have a light switch, and a few people on the team swear by their Nanoleaf Aurora panels. Find what works best for you, and don’t be afraid to buy into multiple brands! After all, almost all of them can be controlled by your virtual assistant. A number of iPhone XS and iPhone XS Max owners in the Apple Support Communities and MacRumors Forums report that the devices fail to start charging when a Lightning cable is plugged in while the screen is turned off. As with many crowdsourced issues, experiences vary. In most cases, the iPhone XS or iPhone XS Max begins charging once the user wakes the device by tapping or raising the screen. However, some users report having to both wake the iPhone and disconnect and reconnect the Lightning cable to get a charge. In rarer cases, the iPhone stops responding entirely at some point after a Lightning cable is plugged in while the screen is turned off. Lewis Hilsenteger demonstrated the issue on his popular YouTube channel Unbox Therapy today by plugging a Lightning cable into one iPhone X, four iPhone XS, and four iPhone XS Max units. While the iPhone X began to charge, it appears two of the iPhone XS units and three of the iPhone XS Max units did not. Affected customers have documented the issue in at least a dozen discussion threads across the web, including the Apple Support Communities, MacRumors Forums, Reddit, Twitter, YouTube, and other forums and platforms. It’s unclear how widespread the issue is at this time, but not everyone is affected. 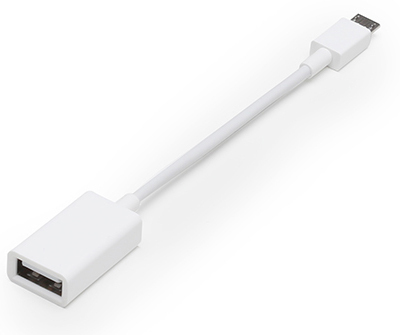 Some users have speculated the issue could be related to USB Restricted Mode, introduced in iOS 11.4.1, which prevents an iPhone, iPad, or iPod touch from communicating with USB accessories via the Lightning connector if one hour or longer has passed since the device was last unlocked. 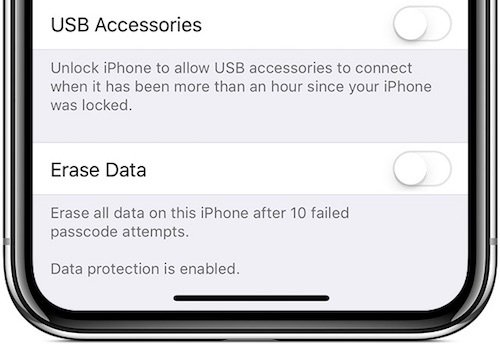 However, while USB Restricted Mode is enabled by default in iOS 12, Hilsenteger and others say disabling the feature does not help. Apple also has a support document that ensures “your iPhone, iPad, or iPod touch charges as usual when it’s connected to a USB power adapter” with the feature toggled on. In the YouTube comments on the Unbox Therapy video, some users claim to be experiencing the same issue on older iPhones and iPads, so there is a decent chance this is a software issue that could be addressed in a future iOS 12 update. In the meantime, there does not appear to be a workaround. If you are affected by this issue, we recommend contacting Apple Support. Apple frequently passes on device information and diagnostics to its engineering teams to address potential bugs like these, so all feedback helps. Apple did not respond to multiple requests for comment, but we’ll update this article if we receive any information. VPNs have become more and more popular as the time passes because people want to make sure that the information they are transmitting is getting to the right places. VPNSecure is a great option, and right now you can score a sweet deal on a lifetime subscription to the service. With it you’ll be able to connect up to five devices at the same time, use unlimited bandwidth and more. You are getting a whole lot for your money here. VPNSecure normally costs $450 for the lifetime subscription, but right now you can pick one up for only $25. Browsing the web can get you in loads of trouble if you aren’t careful, so be sure to grab this at its 94% discount to secure your browsing sessions. For better or worse, the design is staying exactly the same. It’s been a hot minute (read, 3 years) since Google updated the Chromecast, but a recent FCC filing made it seem a new model was coming. 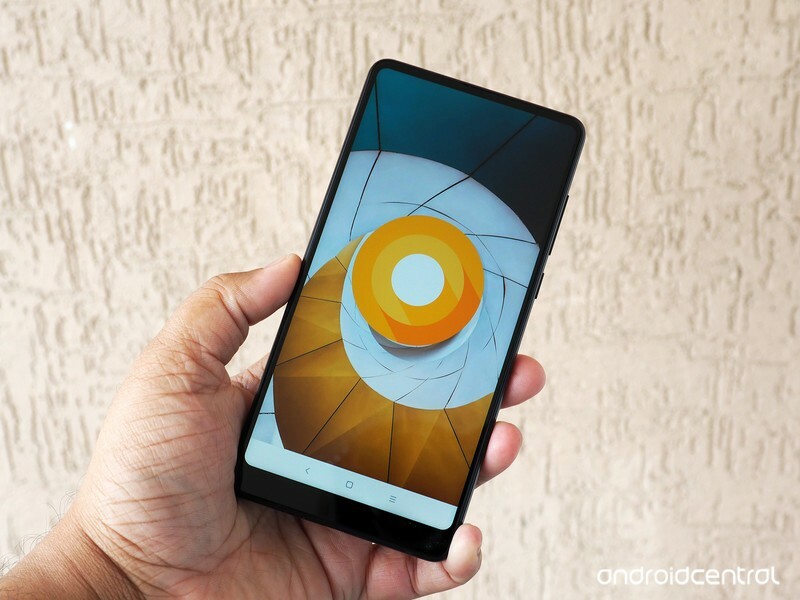 If a redditor who managed to buy one early is to be believed, not only do we have a good look at the new model, we also have a date for its public release — and a better idea of when the Google Pixel 3 event will be held. 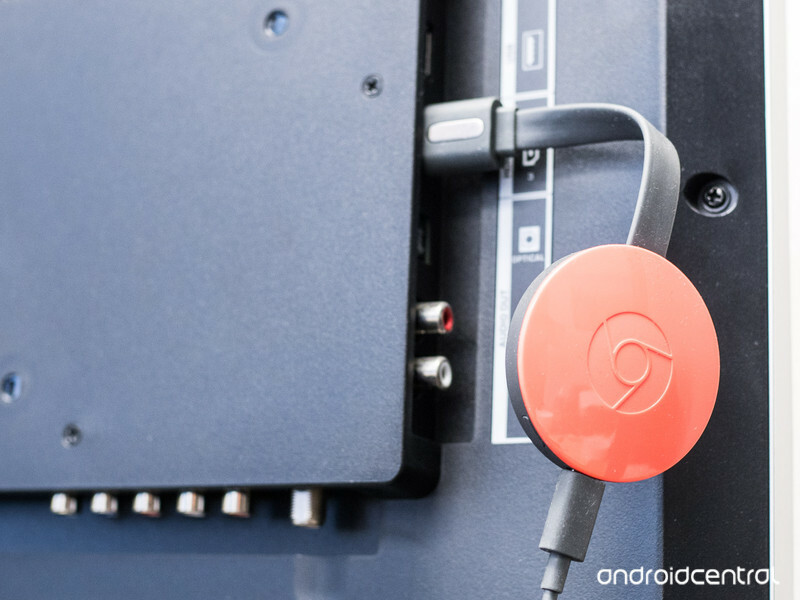 Sticking to microUSB is indeed unfortunate, as is the loss of the magnets for easy cable management and securing of the Chromecast to the back of your TV. We can’t see how the new model performs — if it indeed has Bluetooth support as the FCC filing suggested — as the current Google Home app is incompatible with the new model, but we won’t have much longer to wait. After all, October 9th is only 10 days away. The question is, will that date only bring a new Chromecast, or the new Google Pixel 3, too? 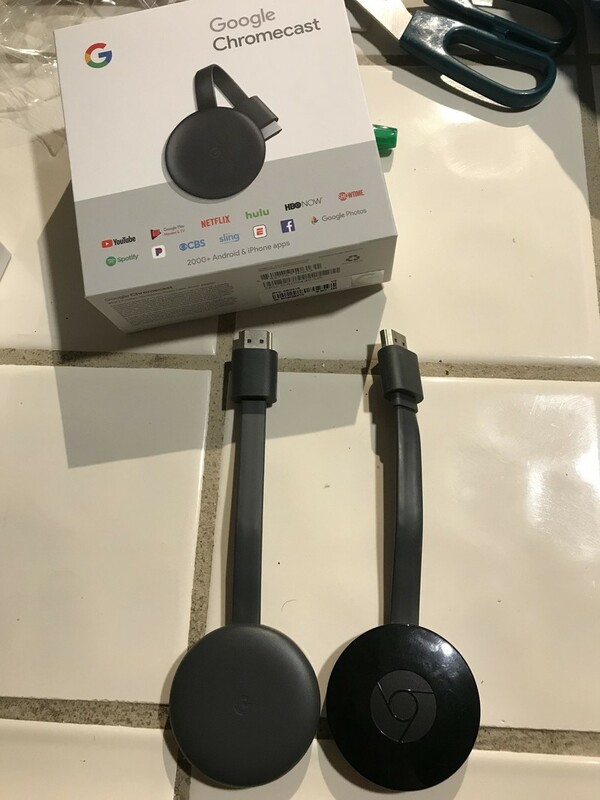 According to the FCC listing from August, this new Chromecast will be the first to support Bluetooth. The current model does have a Bluetooth chip, but it’s only used during the initial setup process and can’t be enabled by users afterward. This device has been changed to include a 0.5 mm trim on the 5GHz PCB antenna trace that increases the 5GHz maximum antenna gain from 2.1 dBi to 4 dBi. 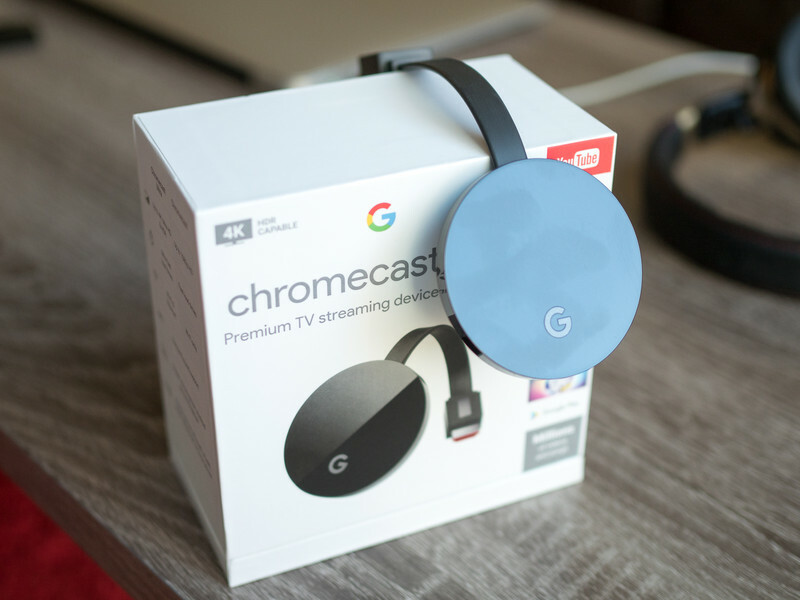 Google might announce the new Chromecast at its upcoming Pixel 3 event that’s expected to take place in early October, but seeing as how the design for the updated model will be identical to the current one, it’s entirely possible it’ll simply be sold in place of the existing Chromecast with no fanfare surrounding it. The October 9th release date mentioned by the Best Buy staff it still fast approaching, and we still do not know exactly when the Made by Google event will be. 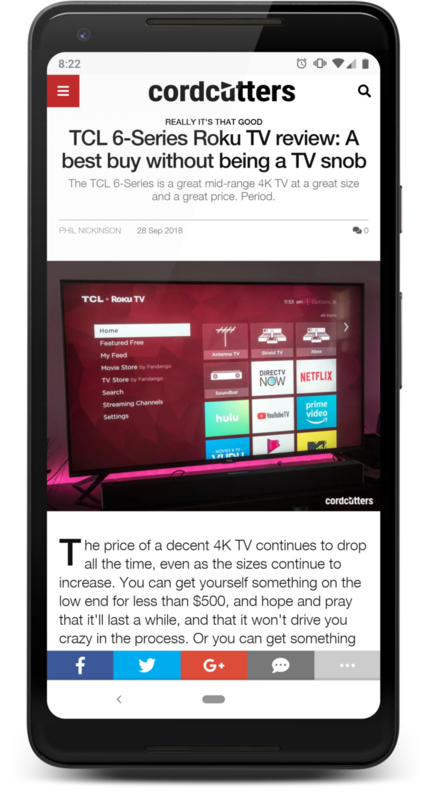 Updated September 29, 2018: We’ve updated this post to include the first appearance of the presumed 3rd generation Chromecast, found and acquired by a lucky redditor on Friday night, 11 days before its alleged October 9th release date. Our time with the Oculus Quest left us impressed. Facebook heavily promoted Quest’s features, like its lack of wires and the fact it isn’t powered by an external PC. Mark Zuckerberg, Facebook’s CEO, even said it can deliver performance similar to what the Rift can achieve. We certainly enjoyed the freedom of using a headset that’s built for wireless use from the ground up. Yet while Facebook and Oculus executives are optimistic about Quest’s potential, those looking to buy the $400 VR headset should heed the warning of CTO John Carmack, who took a more realistic view of what this mobile headset is capable of. “A big high-end PC can use up to 500 Watts of power,” Carmack explained, noting that the Quest is using approximately 5 watts of power. “There’s almost a factor of 100 difference in total power […]” between the two devices. While the Rift is as powerful as the PC its attached to, the Quest’s performance is more in line with the last generation of gaming consoles. “Quest is in the neighborhood of a previous-gen console like an Xbox 360 or PS3 in terms of CPU and GPU, and what you can do on it,” Carmack said during his keynote presentation on the second day of Connect. To overcome the mobile hardware available on the Quest, Oculus engineers are pulling out all the tricks to make sure they’re able to deliver a high level of performance. With Dead and Buried, a large multiplayer game that’s basically VR laser tag, the team removed some GPU strain by pre-baking level lighting. “On Rift, you might have real time shadows everywhere,” Oculus developer relations engineer Gabor Szauer explained. “On the Quest, we have all the lighting baked into the scene.” The differences between the two lighting techniques aren’t obvious and removing real-time shadow effects reduces the hardware cost of rendering a scene. Other techniques include texture compression and reducing the number of objects in a scene. In total, Szauer said that the games can look “similar enough” to Rift while drastically slashing hardware requirements. Though they’ve targeted different types of gaming and different gamers, Oculus feels the device that will compete for gamer’s attention the most is the Nintendo Switch. The Quest is also adopting Nintendo’s strategy of making games fun and immersive without focusing on technical specifications. The Nintendo Switch isn’t a device that can compete on a performance perspective against larger living room consoles like the Xbox One and the PlayStation 4, but it’s still a fun experience thanks to its hybrid docked and mobile modes. Apple’s iOS 12, the company’s latest and greatest version of its mobile operating system, is packed with great features. While previous iterations of iOS have come with a series of bugs and other issues, iOS 12 doesn’t seem to have too much wrong with it. That said, the new operating system isn’t perfect. Some people have reported a few issues with it which is why we’ve put together this guide — to find the biggest iOS 12 problems and try to identify a way to fix them. A number of people on Reddit have reported that after installing iOS 12, the display on their phones looks a little “off.” Colors look a little washed out, and it’s just not as vivid as it was before. In particular, it seems as though the issue affects the iPhone X the most, which is a big deal considering the fact that the iPhone X was the first iPhone with an OLED display, and OLED displays are known for their bright and vivid colors. Speculation suggests that the issue has something to do with the new display profile in iOS on the iPhone X, but that’s far from a certainty. Unfortunately, as of right now it doesn’t seem as though there is a fix to this issue. It’s possible that Apple will fix the problem in a future iOS update. After updating, some people are noting that the Bluetooth icon has disappeared from the status bar. While that’s not an issue in and of itself, others report that Bluetooth simply isn’t working on iOS 12. Go to Settings > Bluetooth and toggle Bluetooth off, then on again. If that doesn’t work, go to Settings > General > Reset > Reset Network Settings. There have been a few reports suggesting that the update to iOS 12 is causing some apps to crash a lot more than usual. The issue could be due to a number of reasons. For example, the apps in question may not have been properly tested or updated to work with iOS 12. Open the App Store and press Updates from the menu bar. Update any apps that have available updates. Force quit the app, then relaunch it. Generally, iOS 12 is a pretty well put-together operating system — so it’s possible no more issues with it will come up. If they do, however, we’ll update this article. You can also learn how to get the most out of it with our handy iOS 12 tips and tricks.